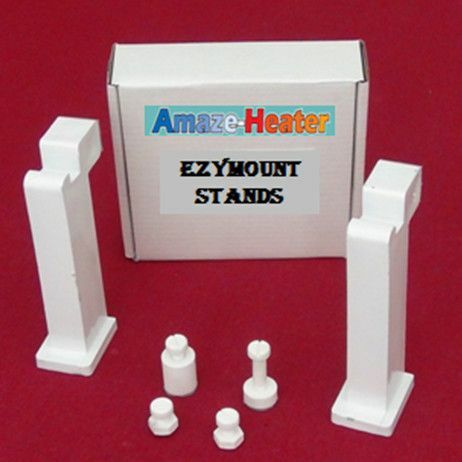 Patented Ezymount stands are designed to work with Amaze-Heater 600W. By using this Ezymount, the user does not have to drill holes into the wall. Installation of wall mounted heater can be done in less than 5 minutes without using any tools. Three years warranty against defects in materials and workmanship under normal use. With features like a hand held shower, adjustable body massage sprays, large rain shower head and individual water controls, DreamLine. shower panels turn your ordinary shower into a home spa. Add other elements of design like shelves, mirrors and accessory compartments, and your shower not only gets a beauty facelift but also becomes more functional. Installation is easy with only hot and cold water connections and fast mounting on wall-attached brackets. For those who appreciate minimalist design, a precise combination of square and rectangular shapes enhanced with the latest GROHE technologies, make Euphoria the smart choice for the ultimate shower system experience. This system includes an exposed thermostat with SafeStop at 1000F / 380C. It also includes an Aqua dimmer volume control diverter and an adjustable-height holder. Ezymount Drill-Less Mounting System For Amaze Heater 600w Patented Ezymount stands are designed to work with Amaze-Heater 600W. By using this Ezymount, the user does not have to drill holes into the wall. Installation of wall mounted heater can be done in less than 5 minutes without using any tools.